In the years 1990-2001, the Wildflower Run was far, far smaller than today. We had few corporate sponsors, with most Wildflower Fund monies coming from run registrations and individual donations. Net funds raised each year grew slowly, from approximately $4,000 to $6,500. Wildflower Run income and individual donations were mostly used to underwrite national AAUW priorities. Those national priorities remained similar to those of today: graduate fellowships for women, pioneering research, public policy advocacy, legal advocacy, and leadership programs. 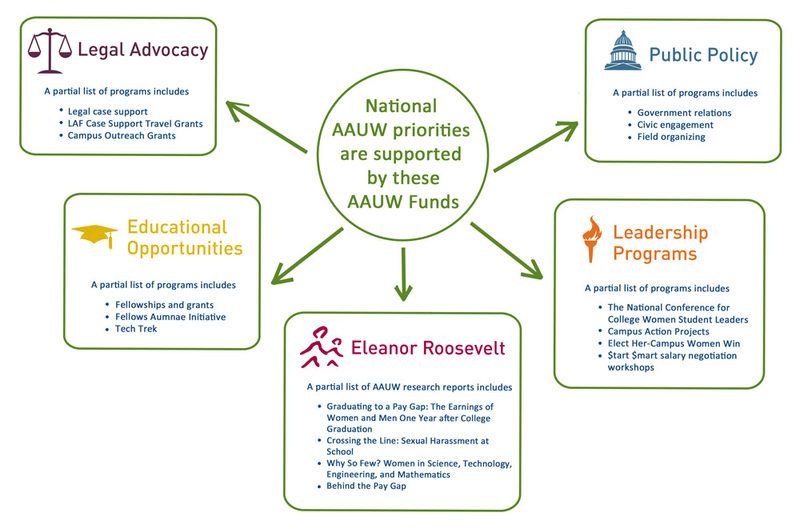 Learn more about national AAUW programming … work that we continue to support today. A branch endowment, the $100,000 Blaine/Cate Endowment for Graduate Fellowships was created in 1991, on the 10th anniversary of establishment of the Morgan Hill branch of AAUW. It was fully funded with the help of other AAUW branches in 2001. The first AAUW Morgan Hill local scholarship was established in 1990 at Gavilan Community College. It was designated for a re-entry woman (a woman continuing her education after a break) who planned to continue her education at a four year college. The first recipient was Judi Chandler, who went on to get a BA in psychology from UC Santa Cruz and a Master’s in Social Work from San Jose State University. Provide scholarships to local women attending Gavilan College. The first scholarships for graduating MHUSD High School students were not established until 2001.